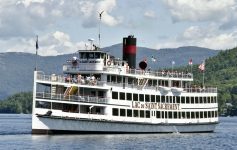 During the holiday season, the Lake George Region is the place to be for festive fun and exciting events. Whether you’re looking to freeze for a reason at the annual Polar Plunge or take the kids to a magical holiday parade, you’ll find plenty of things to do this weekend. 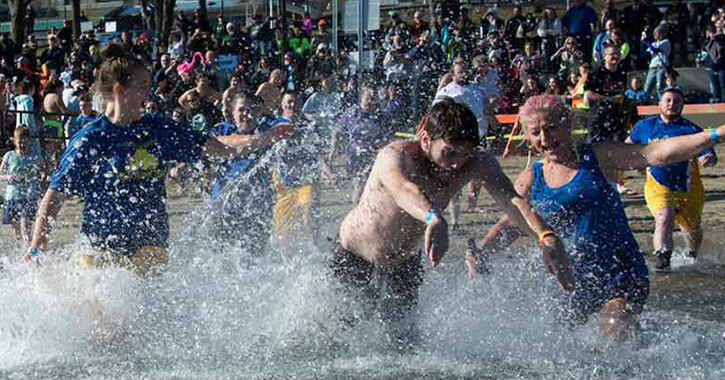 This Saturday, hundreds of brave participants will be freezin’ for a reason at the 12th Annual Lake George Polar Plunge For Special Olympics. 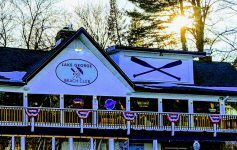 Hundreds of spectators will watch from Shepard Park Beach as friends, family, and colleagues take the cold plunge in the waters of Lake George. This annual event raises funds to help support Special Olympics NY. Join The Chapman Historical Museum at the Queensbury Hotel in Glens Falls for their 13th Annual Wine & Chocolate Tasting on Friday night. 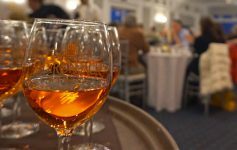 Guests will have the chance to sample more than 60 domestic and imported wines, gourmet chocolates, artisan cheeses, and more. Other highlights will include live entertainment by fiddler George Wilson, a silent auction, and raffle prizes. If there’s one holiday event that’s worth the drive this season, it’s the 6th Annual Holiday Lighted Tractor Parade in Greenwich. This festive parade features dozens of tractors decorated in thousands of twinkling holiday lights. Watch the dazzling parade and browse the variety of food and souvenir vendors throughout the village. Looking to stock up on some holiday gifts early this year? On Saturday from 10:00am-4:00pm, the WWAARC will host a Craft/Vendor Fair offering tons of items for sale. Funds raised at the event will help enrich and enhance the lives of the people WWAARC supports. Bring the family to South Glens Falls on Sunday and experience the magic of a holiday season parade. The annual South Glens Falls Fire Company Holiday Parade will kick off at 1:00pm and travel north on Route 9. There will be community groups, bands, floats, costumed characters, an appearance by Santa Claus, and more parade participants. Sometimes the best holiday gifts are the ones we make ourselves. On Sunday, Adirondack Folk School in Lake Luzerne will host a tinsmithing class that will teach participants how to create their own holiday ornaments. Each student will make multiple ornaments, and no experience is necessary. Get your tickets for an electrifying adaption of Mel Brooks’ monstrously funny film Young Frankenstein at The Charles R. Wood Theater in downtown Glens Falls. The Glens Falls Community Theatre will perform the musical all weekend long on Friday, Saturday, and Sunday. Next Article Light Up the Holiday Season At These Festive Lake George Area Events!